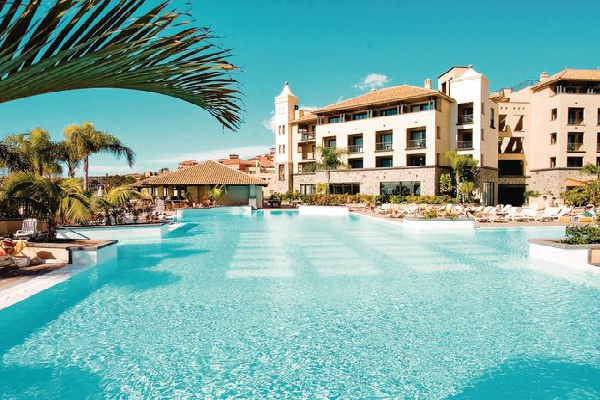 The luxurious Costa Adeje Gran hotel is set on a hillside in the top resort of Costa Adeje. With fabulous interiors such as glitzy chandeliers, marble floors and lovely water features, it gives the hotel a real upmarket feel. With a great range of activities and facilities there is plenty going on to keep you occupied during your stay at this fine establishment. Location: White sand−and−shingle beach 500m away • 300m to bars and restaurants. Board Basis: Bed & Breakfast, Half Board and All Inclusive are available. Facilities & Activities Include: Three swimming pools (climatised, including one on rooftop with a section for naturists) • Kids' pool (climatised) • Buffet restaurant • Hall bar • Pool bar • Juice bar • Christmas and New Year Gala meals • Tennis • Squash • Multi−sports court • Football • Table tennis • Card room • Hotel−run kids' club (4−12yrs) • Play area • 24hr reception with piano bar • Wi−Fi. PAYABLE LOCALLY: À la carte restaurant • Mini−golf • Wellness centre • Whirlpool • Steam room • Pool table. 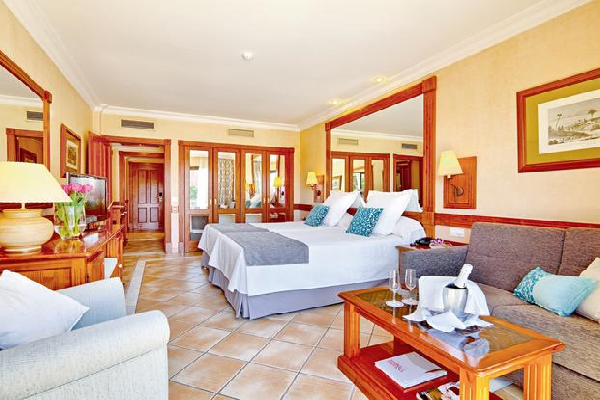 Accommodation: Standard rooms feature twin beds plus a sofa bed, air conditioning, satellite television, Wi-Fi, hairdryer and balcony or terrace. AVAILABLE AT A SUPPLEMENT: Twin rooms for sole use • Pool view rooms • Interconnecting twin rooms • Suites with bedroom and separate lounge • Royal Suites with two bedrooms and separate lounge • Guests booking a suite receive dinner in La Laja à la carte restaurant and fruit and water in room on arrival. 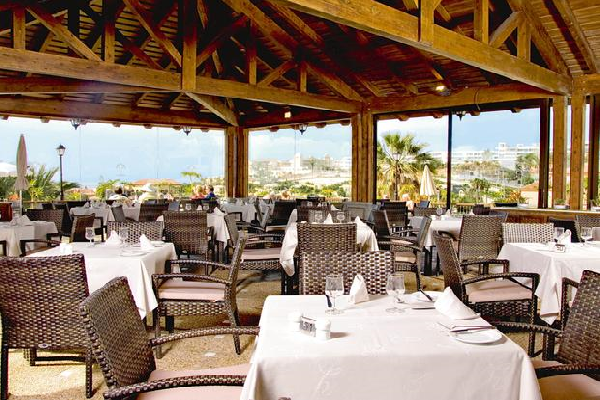 All Inclusive: Here are just a few of the package highlights: Buffet breakfast, lunch and dinner • Alcoholic drinks 10.30-midnight, including a selection of cocktails • Show cooking at breakfast and dinner • Freshly prepared picnics for days out • Late−night snack selection available.